Royal Doulton Tableware, as we know it today, was founded in 1815 Fulham, London by John Doulton and John Watts. Over the course of their history they have won many awards - both for technical innovation and for their products. 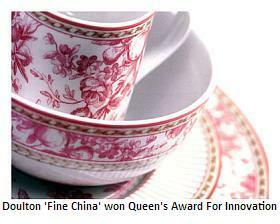 In the 1950's they went about tackling tableware and promptly won the Queen's Awards for Technical Innovation in 1966. 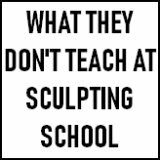 How did Doulton do it? In the 1950’s the company turned to tableware whilst trying to maintain its strong decorative product ranges, but reducing its industrial output. Jo Ledger, a product of the modern school of designers, was appointed Art Director in 1954, and was at the forefront of this new era of Royal Doulton Tableware. Ledger was famously young and fresh-faced - in contrast to the legendary and inspirational Charles Noke who retired in 1938 at the grand old age of 78. He was a man of the times - forward looking, sharing the optimism of the Festival of Britain and moving the company forward into a new era. 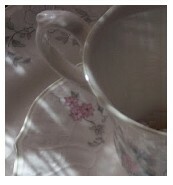 Popular Royal Doulton Dinnerware patterns include English Renaissance, Carlyle, Coronet, and Juliet. As with any prestige brand, pieces with limited production, or signed by an artist, or marked "Potted" (a pottery mark indicating a pre-1939 origin) are most sought after by collectors of Royal Doulton china. In America, after a concentrated effort to tackle that huge and important export market, the name Royal Doulton became synonymous with the finest English tableware. 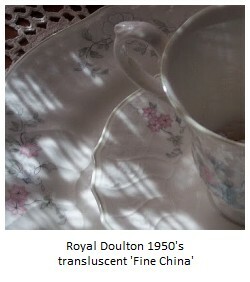 In the 1960's Doulton introduced a brand new and innovative product - 'English Translucent China'. It had a fine, translucent body while eliminating bone from the clay mix (cutting the cost greatly). It allowed Royal Doulton to offer many of the qualities associated with the best bone china, at more competitive prices. 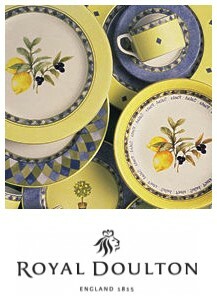 The tableware range was branded as 'Royal Doulton Fine China'. It proved a major success, bringing them their first 'Queen's Awards for Technical Innovation'. The Lambethware oven-to-tableware range was another clever and successful development of the new Royal Doulton fine china era. Emulating its rich Lambeth legacy, the revamped Lambethware range was robust and practical and had design appeal to the modern family. The whole collectability of Lambeth Stoneware was all about the Doulton & Co firm of the 1870 associating itself with the Lambeth School of Art and producing beautiful studio art pottery in a hardy stoneware. It was a sensible strategy to use this prestigious history to launch a new range. 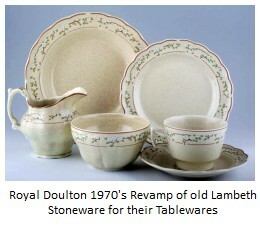 Today, Royal Doulton does not really exist anymore in the way we once knew and loved. After the triumphs of the 19th century and the first half of the 20th century, the demand for conventional fine china began a fairly rapid decline. 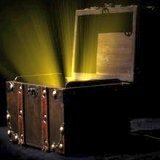 Some companies have coped with this and kept going, some have gone to the wall. In a way, Doulton were too big a manufacturing concern to sustain their output base once demand began to decline and tastes changed. They were a victim of their own huge success. In the 60's & 70's they had amalgamated and dealt themselves into the financial world of takeovers, and amalgamations. 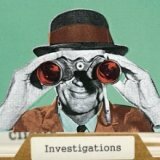 Such wheeler-dealing inevitably means that, just like a big truck can't accelerate into the fast lane, a big conglomerate can't concentrate enough of its energy on product re-design and re-evaluation - simply due to its current crippling commitments which now have no call as demand has vanished into the mist of modern life. In the 1990's they started seriously downscaling their UK manufacturing operations. In 2006, they were absorbed into competitors Wedgwood, and their remaining Nile Street Burslem factory workers were moved to Barlaston. As a brand, within Wedgwood, Doulton are still working their ranges - for example, UK Chef Gordon Ramsay fronts up an attractive tableware collection. For me, this somewhat obvious and lame form of marketing must make proper designers and inspriational people of Doulton's past somewhat shiver in their graves. Long gone are the days of the most illustrious roll call of possibly any ceramics in the world - John Doulton, John Slater, John Bailey, Sir Henry Doulton, Charles Noke, Jo Ledger OBE.